Food Lovers Fighting Hunger In L.A. Agencies serving free meals in L.A. The L.A. 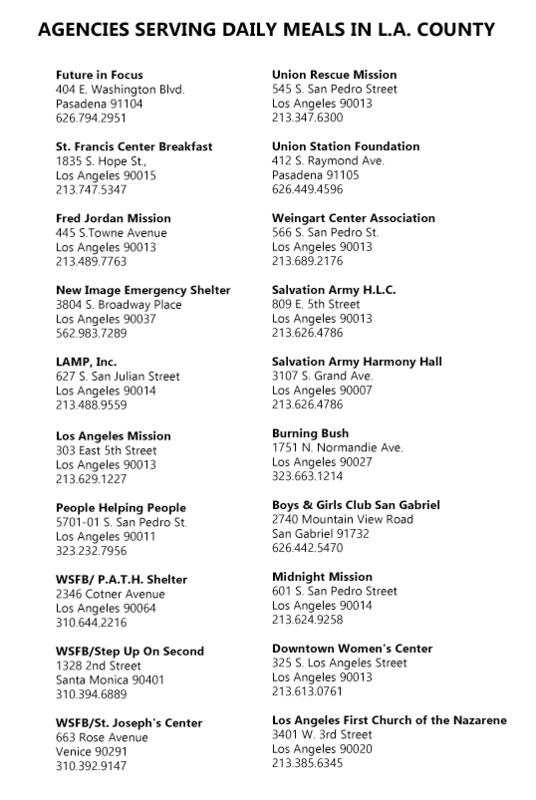 Regional FoodBank posted a list of agencies serving FREE MEALS in L.A.